Valentine's Day is just a couple of weeks away...don't forget to treat your dogs to something special and sweet. Our Peanut Butter & Carob Chip Biscuits are heart-shaped organic bliss. For the bakers out there, try our Double Carob-Peanut Cake mix. Makes an 8" cake or many pupcakes. 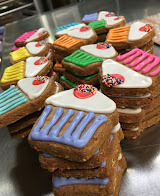 Instructions and frosting suggestions included. It's easy and fun and your dogs will be sooo happy you remembered them! Oh, and to add a little incentive...they're both 10% off thru Valentine's Day. Shop online with us. 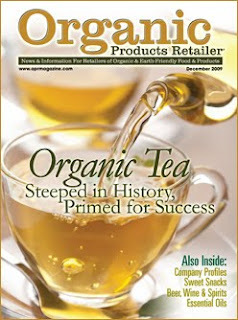 So I was leafing through my latest Organic Products Retailer magazine [which I personally love] and saw they featured our recently reformulated Double Pumpkin Happiness and Sweet Potato-Ginger Snaps biscuits in the new product listing! Cool! This past Fall we improved these two recipes by adding bilberry and ginkgo which have numerous health benefits and anti-oxidants but are also well known for eye health and vision support. Combined with the beta-carotene rich pumpkin and sweet potatoes, these are really great treats for senior dogs. Actually, dogs of any age will benefit and love these snax. As our dog ages [she's now 6] and as we also age, good eye health and eyesight in general is becoming more important to us. Along with the flax we add to all our recipes, these 2 ingredients will help keep Penny seeing those bad squirrels and kitties for many years to come. 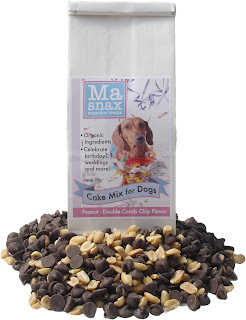 Born at our local shelter in May of 2003, Penny was adopted at 4 months by Mary Ellen & Ray and quickly became the muse, class clown and official mascot of our family-owned organic dog treat company Ma Snax Superior Treats. Our Penny is a beautiful and friendly pitty girl with a silky white head and tan body. Her jewel like multi-colored eyes are just lovely. Talkative and outgoing, she cracks us up non-stop and is truly heaven sent. 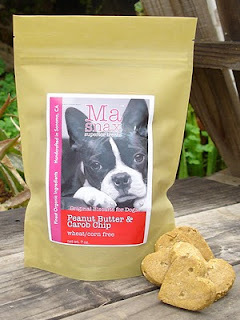 Visit Ma Snax Dog Treats's profile on Pinterest.